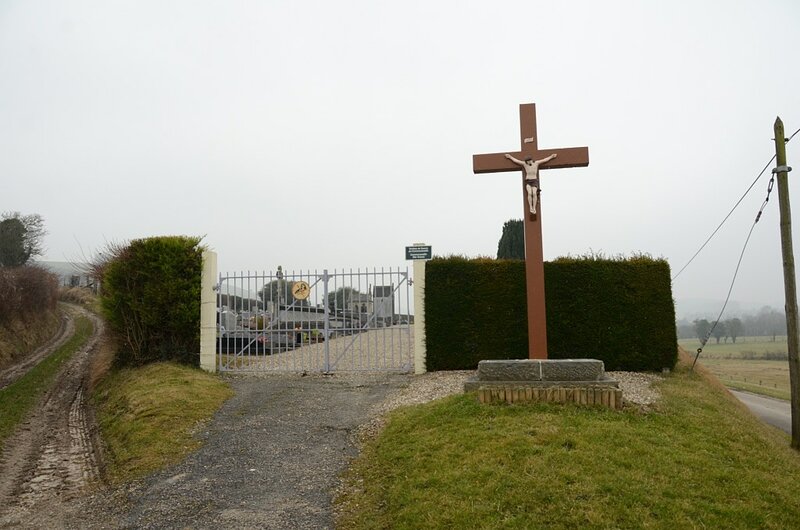 Pierrecourt is a village and commune 42 kilometres east of Dieppe, and 5 kilometres south-east of Blagny-sur-Bresle, where the N.15 bis road from Le Treport to Paris crosses the N. 28 Rouen to Abbeville road. 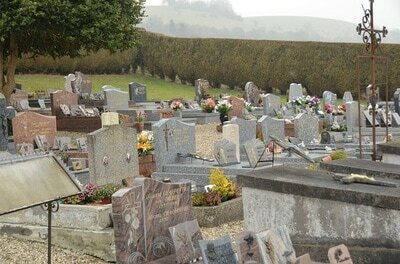 The communal cemetery is south of the village, 450 metres from the church in a lane leading to Realcamp. 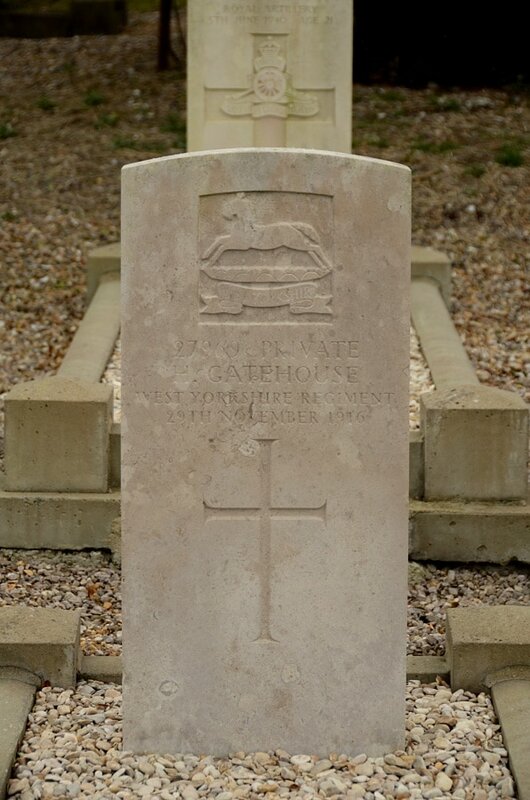 27969 Private H. Gatehouse, 21st Bn. West Yorkshire Regiment (Prince of Wales's Own), died 29th November 1916. 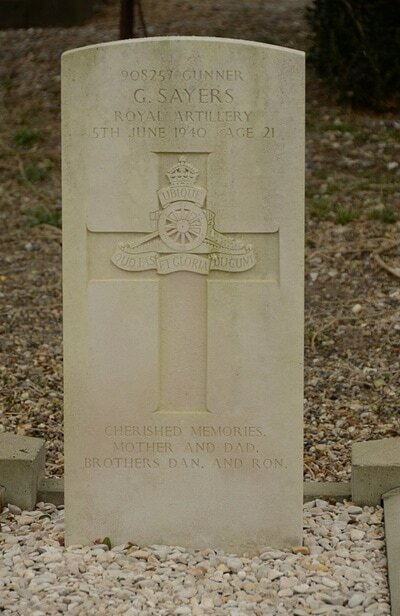 908257 Gunner George Sayers, 215 Battery, 51 Medium Regiment, Royal Artillery, died 5th June 1940, aged 21. Son of Thomas Daniel and Jane Sayers, of Stoke-on-Trent.